Having a cold treat for your pug handy during the hot weather is such a great idea. They will get to have a delicious healthy treat that will help keep them cool. 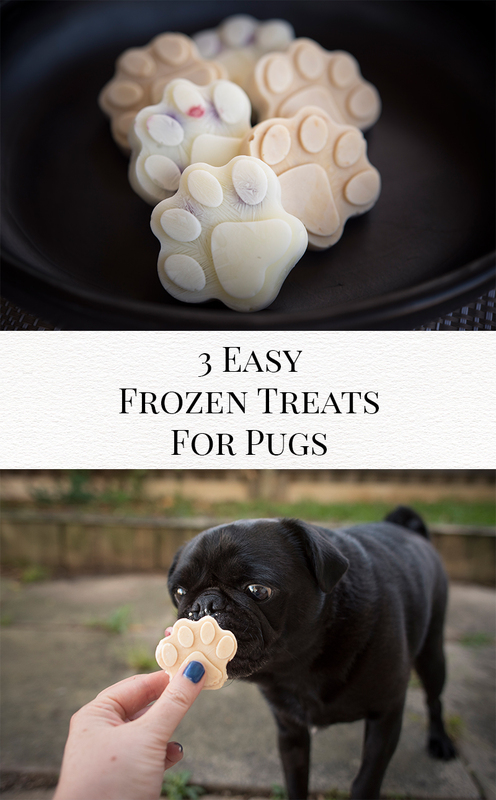 And I have 3 easy frozen treats for your pug that you can whip up in no time. 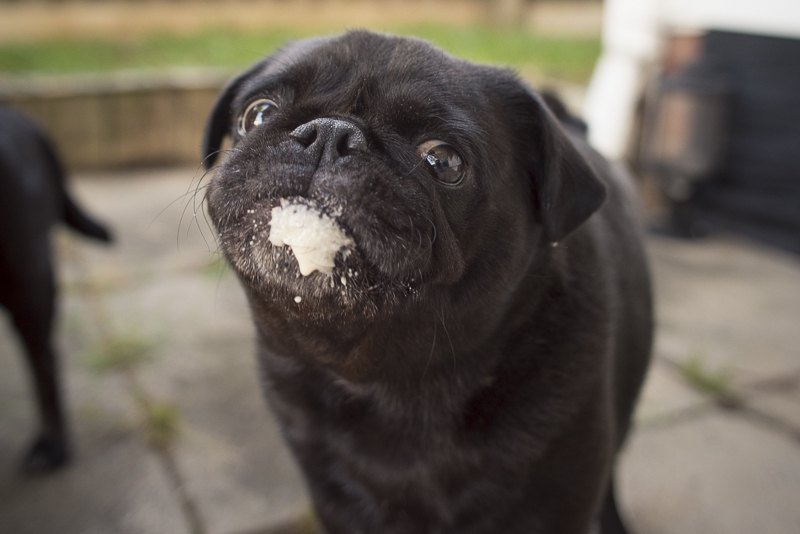 The best part about these 3 easy frozen treats for your pug is that you probably already have the ingredients at home. 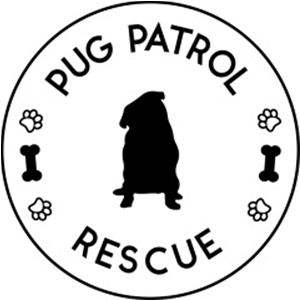 The basis to these treats is the healthiest yoghurt for your pug, Natural Greek Yoghurt making these delicious and nutritious! The base mix of these treats are Greek Yoghurt. 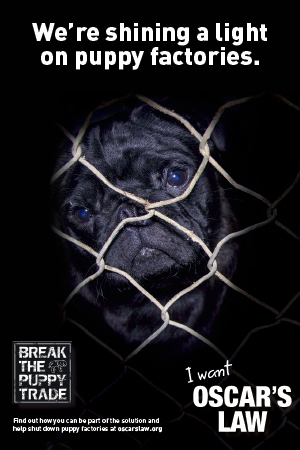 And then you can really add anything you like to them to give variety and depending on what your pug likes. Divide your Yoghurt or Kefir evenly between 3 small bowls. In one bowl, mix in 1 Tbsp of Manuka Honey to your yougurt so it is smooth and well mixed through. In your second bowl, mix in 1 Tbsp of peanut butter until well mixed through. Divide your mix from each bowl evenly into your silicone mould. In your moulds that have just the yoghurt only, add blueberries into the mould. 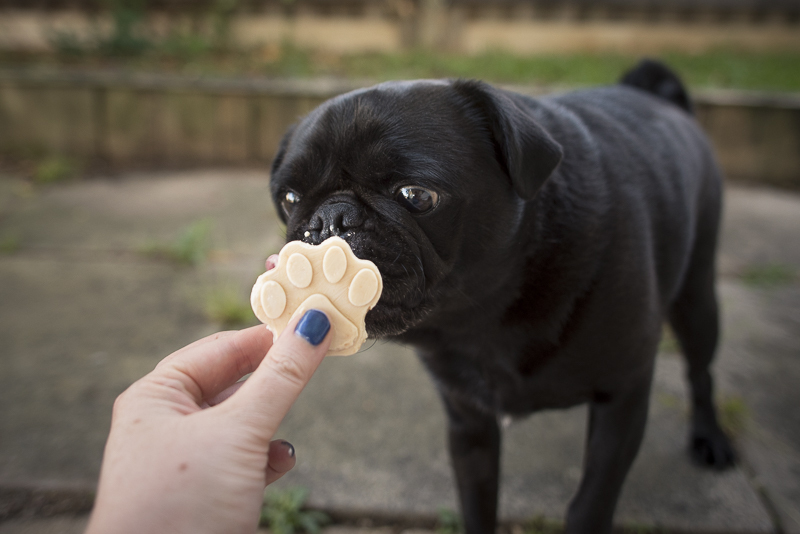 Feed one frozen treat a day to your pug to help keep them cool and healthy! When looking to buy yoghurt, search for Greek or natural yoghurt with the least amount of sugar per 100g in it. Kefir is a great alternative to yoghurt that is jam packed full of probiotics making any treat super healthy for your pugs gut health. 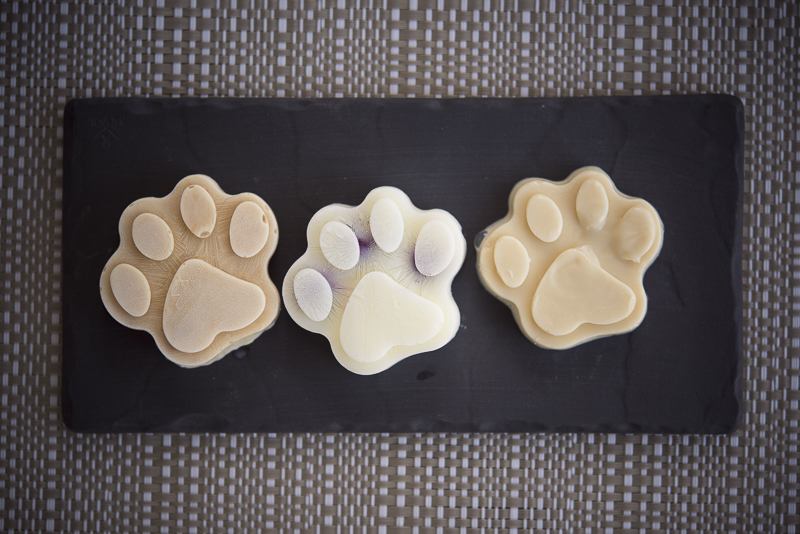 Make batches of these frozen treats up and store them in an airtight container in the freezer and your pug will love you for giving them delicious and healthy frozen treats! Which will be your go to flavour combo for your pug? Do they have a favourite treat that you could incorporate into a frozen treat for them? Share your flavour combos in the comments below! 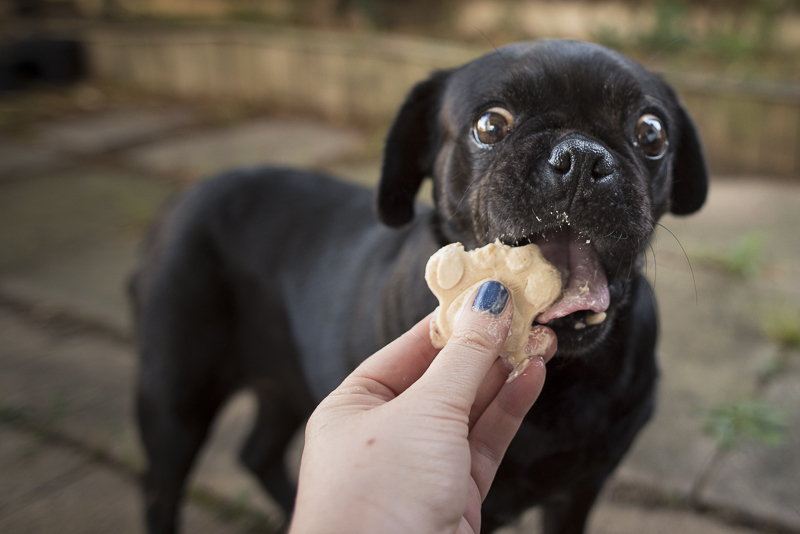 Visit our full collection of Dog Treat Recipes here.